When her new sibling arrives and family dynamics change, Lena learns that just because things are different–it doesn’t make them bad. 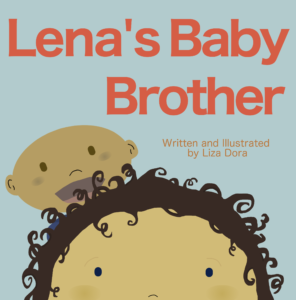 Lena’s Baby Brother is a playful and sweet look at what happens when a new baby brother arrives. A great book for families with a new addition whether through pregnancy, adoption or fostering. Amazon or click here to buy a signed copy directly from the author.